Many of our competitors claim to be full-service staffing agencies but when it comes down to it, they are pretty mediocre at anything outside of their core business. Through divisional integration and strategic partnerships, The Ōnin Group provides premium service in a number of verticals. Ōnin Staffing is one of five of the Ōnin Group’s staffing divisions. 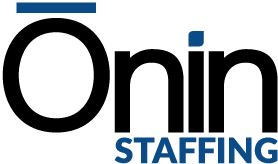 Ōnin Staffing is The Ōnin Group’s industrial and light clerical staffing division with almost 100 full-service branches scattered throughout the continental United States. 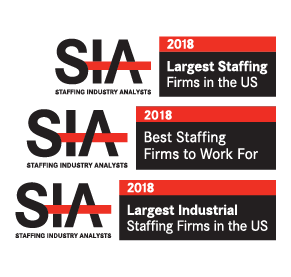 Our nimble company structure, our status as an employer of choice and our innovative mindset ensure we can develop and execute a staffing program which addresses our customer’s specific needs and provides a variety of long-term and short-term employment opportunities for our Teammates. Ōnin Group’s Professional Services Division recruits executive, highly-skilled technical and management professionals internationally. We offer a broad range of specialized services in the high-tech, warehousing/logistics and manufacturing sectors. Skilled trades people are becoming a rare commodity. With the industrial environment becoming highly automated, fewer employees learn specialized skill trades on the job. This has left the facilities which require these skilled employees fighting over a shrinking pool of candidates. As your staffing partner, we bring a focused intensity to sourcing integral skilled candidates. Fōcus IT, an Ōnin Group company, is a world-class consulting firm specializing in IT Staff Augmentation . Despite the uncertain economy, the war for professional/technical talent continues to intensify. Fōcus IT is focused on engaging, hiring and retaining top talent. Fōcus IT takes a holistic approach which includes aggressive, cutting-edge passive candidate sourcing techniques and working with clients to identify and develop their employer brand. Fōcus IT is your guide to understanding how your employment brand is your greatest resource when it comes to recruiting and retaining your greatest asset – your people. Dallas TX based A3 Solutions became the newest member of the Ōnin Group in late 2014. Founded in 2009 by Lola del Valle, A3 provides IT and engineering staffing solutions in all 50 states as well as targeted global regions. Efficacy with shorter-term, remote deployment of IT infrastructure talent is a clear point of difference for team A3. Our proven workforce metrics solution is used to match potential professionals to our clients. It is all about delivery at A3 because we understand time is of the essence and the submittal of the right candidate is a non-negotiable.